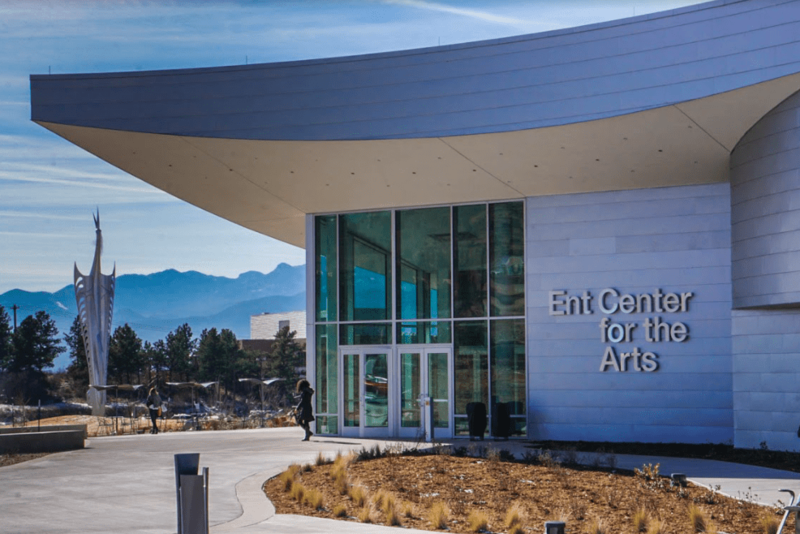 After three years in the making, the Ent Center for the Arts is open to students, faculty and staff. The $70 million facility will host the Department of Visual and Performing Arts, alongside the Gallery of Contemporary Art, the Dusty Loo Bon Vivant Theatre and the Osborne Theatre, alongside new recital and performance halls for students and the public. Faculty and staff celebrated the opening of the Ent Center at an open house on Jan. 17. The new facility will host a public opening on Feb. 3. Tickets are $100 and are expected to sell out. According to Chad Garland, director of the University Center and Event Services, $50 from every ticket will support the building and student-led projects. Net proceeds will go to UCCS Presents. Those who attend the grand opening will have the opportunity to see the facility’s 774-seat Shockley-Zalabak Theatre, which was dedicated to Chancellor emerita Pamela Shockley-Zalabak, who retired in February 2017; the 245-seat Chapman Foundations Recital Hall; the VAPA Interdisciplinary Arts Lab, and more. As for classroom learning, students will have a heightened academic experience within the Ent Center, according to Carolyn Fox, executive director of Construction and Planning. “The academic facilities in the Ent Center are far superior to the existing spaces serving the Visual and Performing Arts programs. The community of Colorado Springs will have access to world class artists…both onstage and off,” said Fox. The Dusty Loo Bon Vivant Theatre has also been reimagined in the new building. The theatre is complete with a wraparound auditorium, a 4.5 sprung floor and updated audiovisual abilities. As programs move to the Ent Center, University Hall, which housed theatre classes and faculty alongside the Dusty Loo Bon Vivant Theatre, will be repurposed, according to Fox. The first floor will be used as a large tiered classroom that will seat approximately 250 students, while the second floor will be used to expand the College of Education. 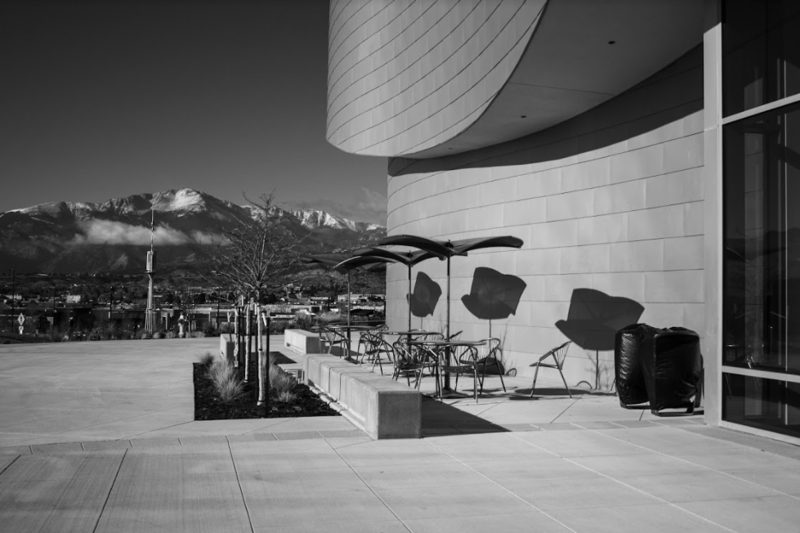 “The existing spaces and programs were scattered across many buildings on campus. Now, they are consolidated in one building where they can explore ideas that cross disciplines,” said Fox. The construction of the center is being completed in a two-phase plan to promote department growth, with Phase I completed as of this month through the building’s grand opening. Phase II moves onto expanding the facility to the Art History, Film Studies and VAPA programs. This also alludes the potential for development for the VAPA department as a whole. On a day to day basis, the Ent Center staffs between 15-20 people who work for the box office, Ent Center information desk and general building staff. This does not include professors, instructors and artistic staff hired by UCCS Presents, according to Garland. “They want this facility to feel like the University Center. In other words, we want students to feel welcome here, and provide an opportunity for them to be able to engage with the arts,” said Garland. 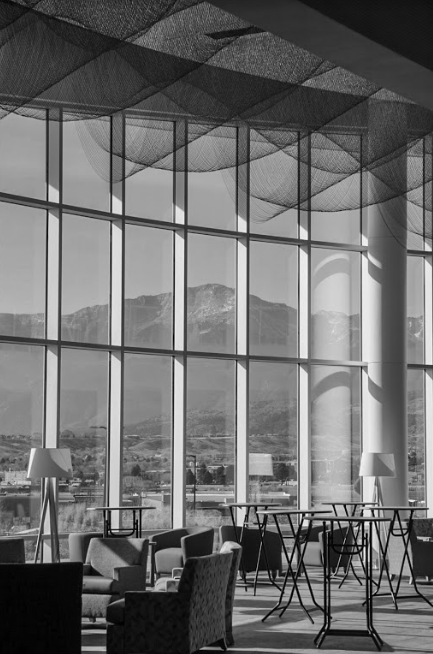 For more information on the Ent Center and the public opening gala, visit uccs.edu/entgala/.